The first building designed by Foster + Partners to break ground in Lebanon. 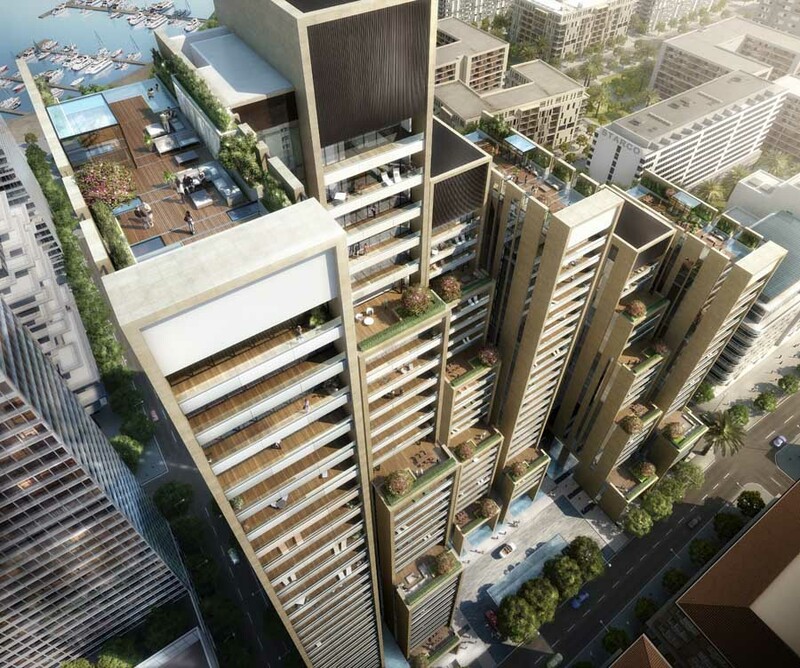 Responding directly to the site and culture of Beirut, the scheme will create a sustainable residential and retail development of international quality. This page contains a selection of major Lebanese office building designs, with links to individual project pages. We’ve selected what we feel are the key Lebanon Buildings, but additions are always welcome. The office building is located on the main street of Badaro, a dense district in Beirut. The corner situation of the lot and the street alignment (with rigid shaped buildings) has led us to create a building with a different identity. By stacking the office spaces, we encourage a different reading of the office building. 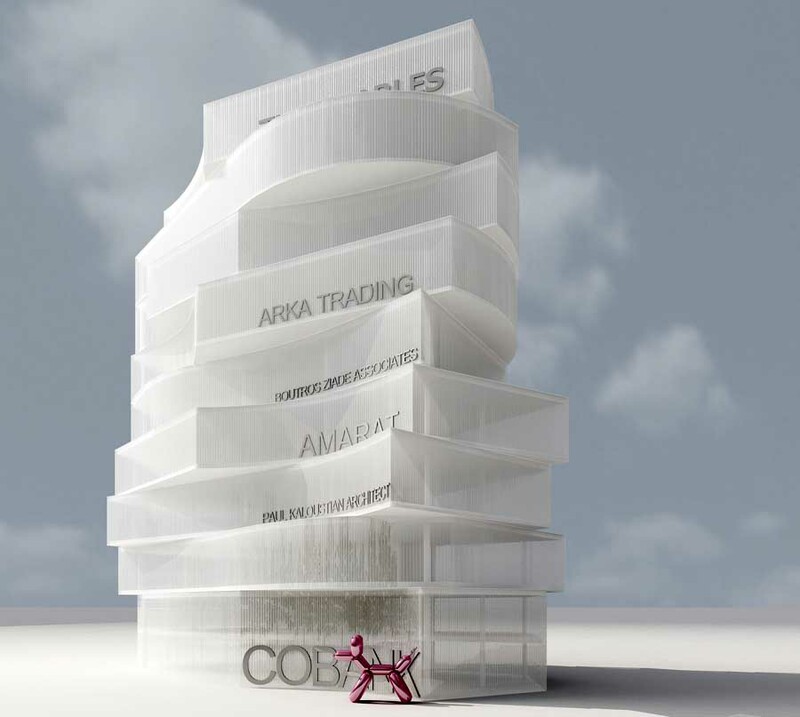 The stacked elements become independent offices reflecting each company inside and give the building a changing appearance depending on the angle of the viewer.